Jenny Parks is a traditional artist working in the realms of natural history and animal art. Lately though, she’s come to specialize in fantasy-anthropomorphic illustrations of cat characters. 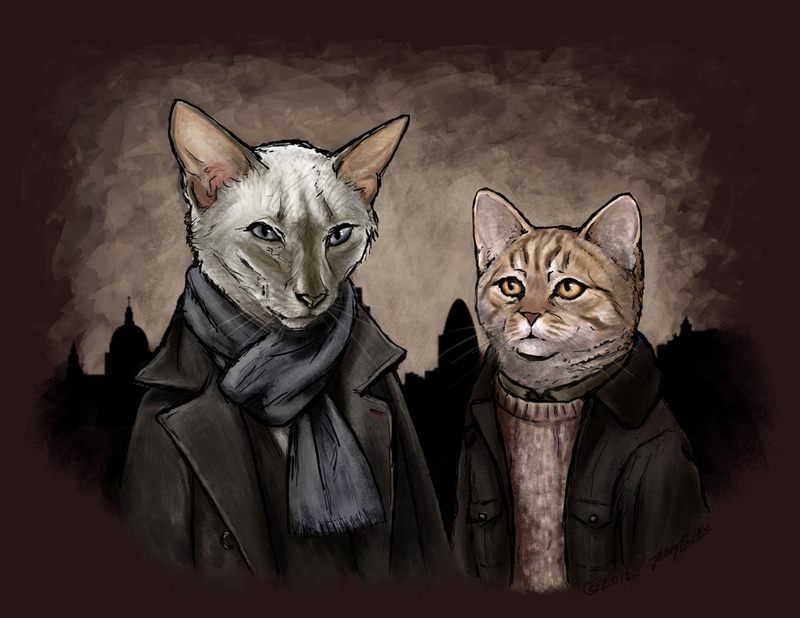 Cats like Doctor Mew, Hairy Pawter, and Purrlock Holmes. Of course she sells prints of her cat-work, and you can see examples of that and other illustrations at her web site, www.jennyparks.com.